Unless you've been living on a remote island free from any form of outside communication, you'll be well aware the craft beer revolution has not so much descended on Brisbane as started to devour it whole. The past few years have given rise to a haven of breweries, crafty bottleshops and humble taverns rotating through dozens of beers from near and far. 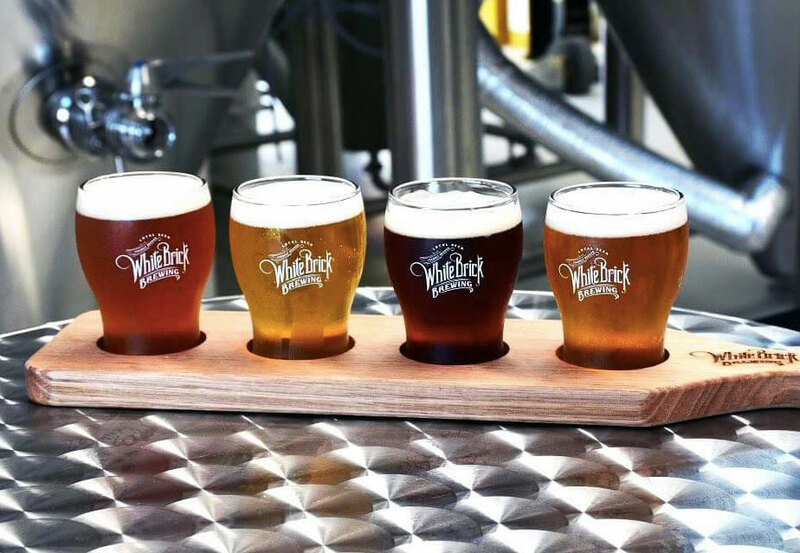 But what if you don’t live within stumbling distance of the city’s riverside bars and the vibrant West End bar scene, or close enough to take a stroll through the reimagined Valley and beyond to the breweries and bars of Newstead and surrounds? These days, if you're in the city's north, you're in luck as the area – particularly the north east – is a place transformed. Many an unassuming northside resident has tired of identical supermarket-owned taverns, grown weary of long trips south on public transport or expensive cab rides. They want a beer and your average lager just won't cut it anymore. They want craft beer and they want it now. 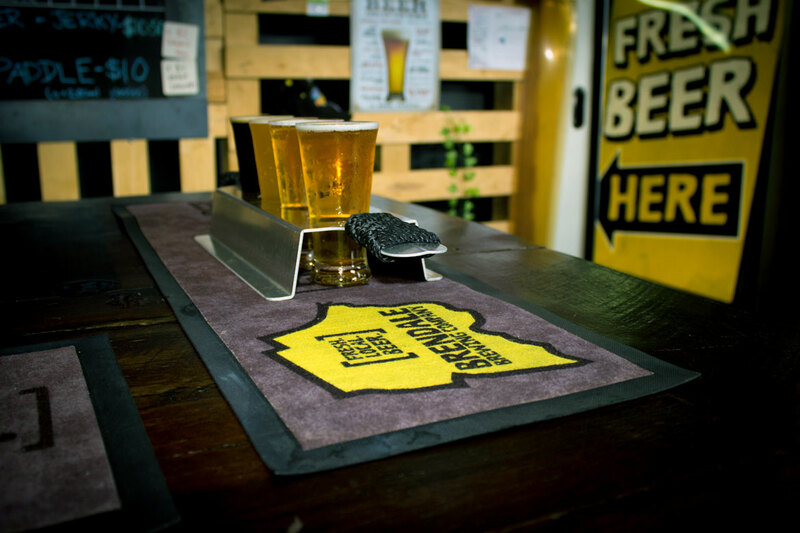 The northern suburbs beer scene is one possessing an intensity too; up here, the dedicated bar owners who run the craftier establishments are members of a club dedicated to providing quality sustenance to the masses. These are their stories. Tucked away in the quiet suburb of Lawnton lurks a subset of beer drinkers who are looking for a good beer. Bar owner Graham Scott provides the answer they're after. “I was running a coffee shop (The Wheelhouse next door) for a number of years and was looking for something more," he says. Graham had the business knowledge but was a relative newcomer to the beer trade so he brought in his experienced craft beer mate Paul to form what is now the Crow N Arrow. Graham only selects the best coffee for his shop and takes the same approach to beer. You'll find more than 60 beers flowing through his six beer taps and within the large beer fridges. They welcome in a regular stream of musicians and food trucks, and pour a selection of Aussie wines and cocktails, to keep everyone happy. Crow N Arrow is located at 774-776 Gympie Road, Lawnton, a short walk from the train station. You might not have heard of Brendale. It’s a small industrial suburb in the northern suburbs of Brisbane. It’s synonymous with wholesalers, the steel industry and the South Pine electrical substation. What it may also soon be known for is beer. Meet Ryan and Elsie McCausland, the husband and wife team behind the Brendale Brewing Company. Follow the stream of workers clocking off looking for a refreshing afternoon drink and you'll find a unique neighbourhood experience where locals come to meet. You won’t find any XXXX Gold or Great Northern Lager, however, but beers brewed in-house, from the aptly named South Pine Pale Ale and Linkfield Lager (both named after neighbouring streets) to a heavily hopped double IPA and the popular Industrial Haze that warranted an honourable mention in our Best New Queensland Beers Of 2018 feature. The range at Brendale is fairly large for a small scale brewery – up to eight rotating taps and one cider – and there is value to be found on the list too. You'll find Brendale Brewing Company at 2/62 Kremzow Road, Brendale. There’s a lot to like about this bar. But the main attraction is the wall of 30 beer taps (pictured at top of the article). You see, the owners might not come from hospitality backgrounds, but they know what they like to drink. And they were also tired of travelling to get their hands on a decent beer. So they built a bar close to home. Behind the bar at time of writing is Michael Bartlett, formerly of the iconic Boundary in West End. That role ensures he's a man knows how pour a beer, yet he says it wasn’t until he began working at Which Craft that he realised just how big the craft beer industry was: moving north proved to be something of a crash course. He found that even those locals who weren't drinking a wide variety of beers were starting to come around to the selection on offer at Which Craft. 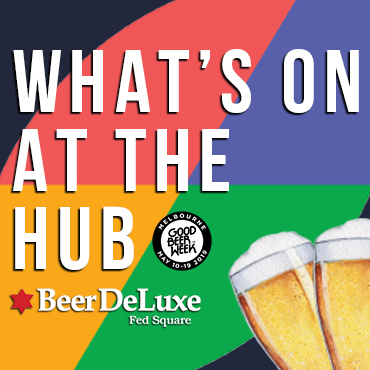 Alongside all that beer is a good selection of Australian wine, free popcorn, a variety of board games and a friendly atmosphere for the whole family. Which Craft is located at 720 Albany Creek Road, Albany Creek. Sandgate is a coastal suburb that might surprise you. 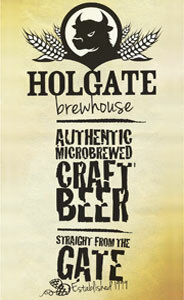 At time of writing, it's home to two dedicated craft beer bars and is set to welcome two breweries too. If you live in Brisbane, you may have heard of the Cardigan Bar for its music. 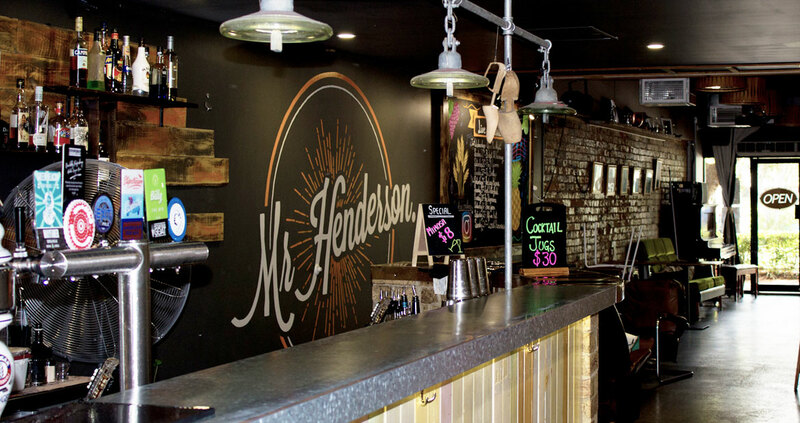 The small, intimate bar has built a solid reputation over the years for showcasing Brisbane’s local musicians and now has added one of the best selections of craft beer on the city's northside. Owner Brett Johnson has been fine-tuning his beer inventory, focusing on quality local products and the desires of his customers, with the regularly rotating taps typically dedicated to local breweries and (Brendale Brewing Company has been dominating recently) and the fridge jam-packed with local beers and a decent selection of organic and locally produced ciders, wine and juices. His spirit and cocktail menu is extensive too. Regardless of your music or beer tastes, chances are the Cardigan Bar has something for you. 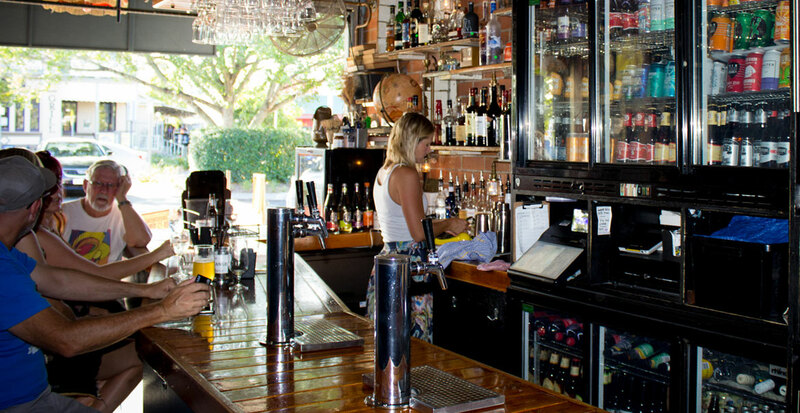 You can find the Cardigan Bar at 198 Seymour Street, Sandgate. Ever sat in a bar and wondered what it would be like to buy your own? Well, that’s just what five mates did one day while sitting in Sandgate’s Mr Henderson. And rather than stop at wondering, they went ahead and bought it. Within a few months of taking ownership of the well-liked former bootmaker's shop – evidenced by old prints and adverts decorating the interior – they've continued the craft beer theme as well as bringing back food trucks and incorporating a beer garden. You'll find them at 69 Brighton Road, Sandgate. Aside from the growing collection of venues, there's a clutch of bottleshops bringing the good stuff to the north. 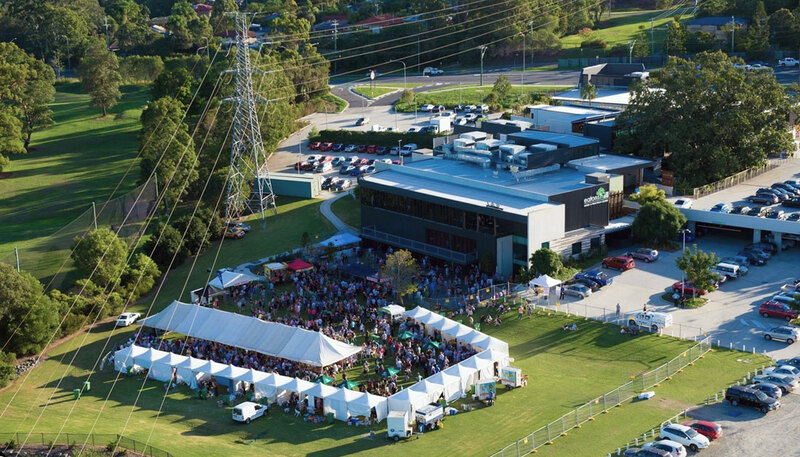 Among them is Harry Brown Liquor, based at the Eatons Hill Hotel (which hosts an annual beer festival, pictured above), where manager Andrew Rowe keeps an eye on trends in the beer world to makes sure his large fridges are full of crafty deliciousness. 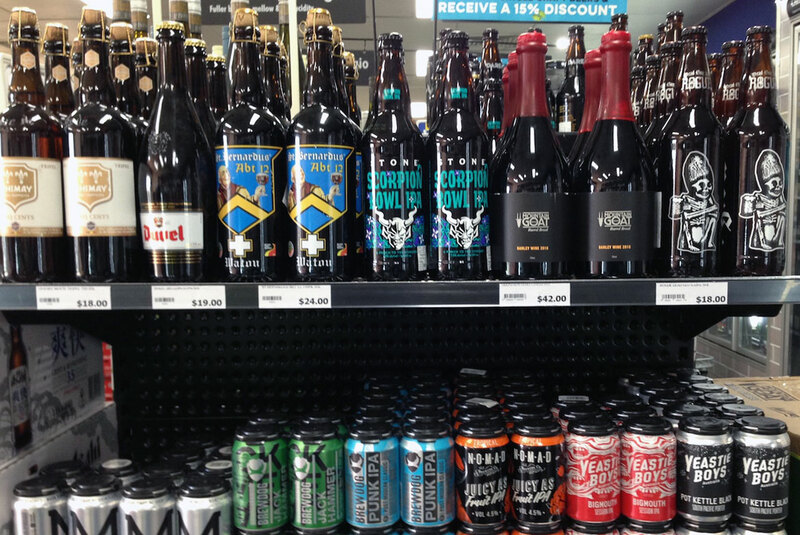 His time at the store has coincided with the rise in breweries on the Sunshine Coast, Gold Coast and in Brisbane and they feature heavily; when we called in the latest additions included limited releases from Ballistic, Green Beacon, Slipstream and Helios. “We aim to reward local brewers who look after us,” Andrew says. Harry Brown Liquor is located at the Eatons Hill Hotel, 646 South Pine Road, Eatons Hill. 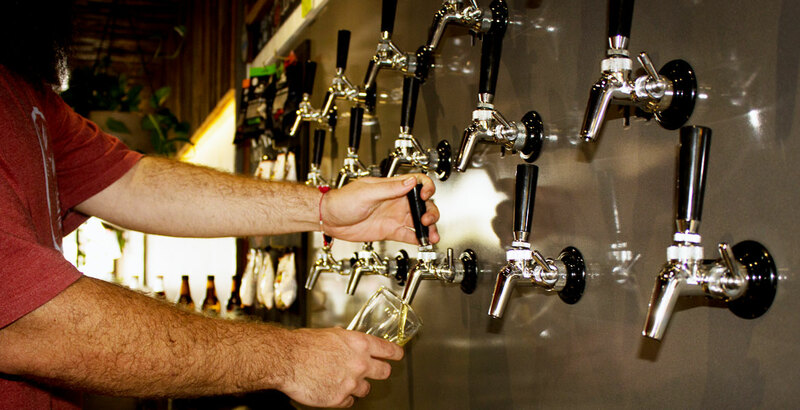 North Lakes is one of Brisbane's newer suburbs and was one crying out for local beer. So up stepped longtime homebrewer Adam Gibb, opening the doors of White Brick in November 2017. It's a pared back and beer-centric brewpub aesthetic, with the stainless steel on plain view and charged with producing beers that often take their names from the locale and come – for the most part – with a strong focus on approachability for a market that's still new to craft beer. White Brick also supports the local community and businesses where possible: all the soft drinks come from a local company, as does the jerky they sell, while they're involved in various neighbourhood events and groups, and the venue has become a hub for homebrewers in the area. White Brick brews at 1/9 Flinders Parade, North Lakes. 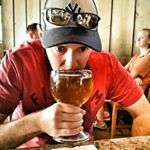 An example of just what can happen when a passionate venue manager gets bitten by the beer bug, the Margate arm of Bottlemart (which also offers a decent beer selection at its Full Moon, Sandgate, and Boondal stores) has become a welcome boon for beer lovers in Brisbane's north. Stephen Klibbe has been there for 15 years and, while his expertise initially lay in wine, he's taken a deep dive into the world of beer too. Not only has that seen the selection at the store increase dramatically – drawn from across the world and embracing Old and New World styles – but Stephen is keen to take newcomers on the sort of journey he's been enjoying too. So don't be put off by outward appearances; Bottlemart Margate may be a bottlo in a shopping centre, but step inside and you'll find a world of beers featuring not just the best of Australia – including limited releases aplenty – but also imperial stouts from America, fruited Berliner Weisse from New Zealand, and Trappist tripels from Belgium.